One unexpected benefit of the tight economy has been a push for more economical packaging practices. In the drive toward improved fast food packaging and sandwich wrap, there’s a serious question to ask: Do you really expect that the people who have lagged on packaging innovation in the fast food industry over the last 70 years will somehow acquire an innovative idea in the next decade? One that addresses both functionality and the environment? It took 4,000 years for wine and beer to move from clay to glass containers. It took another few thousand years to go to cans and plastic containers. We’ve hoped that with the internet speeding the flow of information, that in the decades since GreenDustries was founded the fast food industry could have gauged and responded to the uptick in green consciousness and the need for more functional and sustainable sandwich wrap. We’ve made inroads. Hero Burgers in Canada, a gourmet fast food chain with 20 restaurants in the Toronto region, recently launched our PleatPak and Magic Bag products to wrap sandwiches and French fries – an upgrade, they felt, from the foil laminated wrap they were using. Our products, they told us, offer added value to the eating experience and also lessen the impact of fast food packaging on the environment. Companies offering something unique often have to fight their way through clutter to make themselves known. It’s happened throughout history and it’s no different with GreenDustries. We have a totally different concept; revolutionary and innovative. Using a two-dimensional piece of paper we’ve constructed a three-dimensional package – it’s the most effective paper container on the market. In our modern society that demands instant gratification the span of five years may seem like 4,000, but we are breaking down old attitudes and beliefs – it’s a slow process, to be sure, but it’s happening. Thanks for every other magnificent post. The place else could anybody get that type of info in such an ideal approach of writing? I’ve a presentation subsequent week, and I’m on the search for such info. It’s our goal to inform you the in the most honest way .Thank you. Can I simply say what a relief to seek out somebody who really is aware of what theyre talking about on the internet. You positively know how to carry an issue to gentle and make it important. More folks need to learn this and perceive this facet of the story. I cant believe youre not more in style since you definitely have the gift. I got incredibly in finding this site.I want to thanks to this good read!! Completely taking advantage of each and every little bit of it and I bookmarked to observe fresh things you publish. 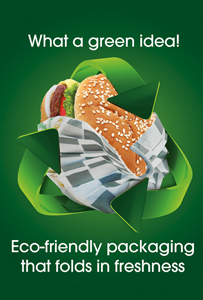 We are all about Green for Fast Food Industry Packaging…. It’s all our design, we are very happy that you like it! Did you visit our website: http://www.greendustries.com? Hello, have you been accepting any ads in your website? I would love to buy a banner for a month or two linking to my personal web site that is closely related. Let me know, or give me an email that I can reach you at. Thanks! Sorry, but I dispute with this story. I actually do delight in your specific page though and may continue to keep moving once more for posts. I am not certain where you’re getting your info, but great topic. I needs to spend a while studying much more or understanding more. Thank you for great info I was in search of this information for my mission. 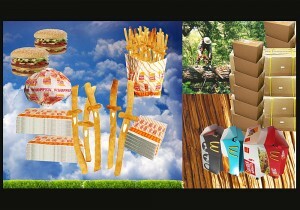 We get our info through our “green business” with the fast food industries. Hi John, i’m also a new blog writer! We started about a year ago! The only thing i can tell you from my one experience, be passionate about the subject you blogging about…Thank you! You’re welcome Erich! Come back at :greendustriesblog.com. Thank you! Hi Glynis, e-mail me at : blog@greendustries.com, Thank you! Hi Neil, for more on this subject please go to: http://www.greendustries.com. Thank you! Someone essentially assist to make critically posts I might state. That is the first time I frequented your website page and thus far? I surprised with the analysis you made to make this particular submit extraordinary. Fantastic activity! You could not be more wrong! This our business, our patents, our creation….Please visit our business website : http://www.greendustries.com. You will be less confused. Thank you! Hi Lucius, did you visit our professional website? http://www.greendustries.com, much more info there! I precisely wanted to thank you so much all over again. I do not know what I might have created in the absence of these ideas shared by you concerning this area of interest. It truly was an absolute terrifying situation in my position, however , noticing your expert manner you dealt with it forced me to weep for happiness. I am just happier for this help and as well , hope you recognize what a powerful job that you’re providing educating many people all through your web page. I am certain you’ve never met any of us.